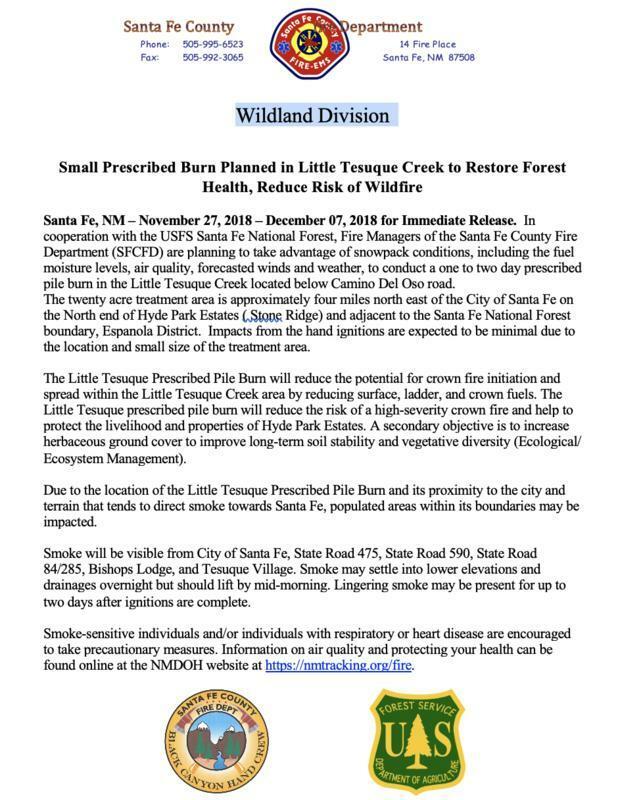 Santa Fe Country recently released a press release for a small prescribed burn planned for 11/27 - 12/7. See below. Sensitive to smoke? Check out our HEPA filter loan program and rent your HEPA filter for free today!